Post sponsored by Cuidades helicultura Nature-friendly home based business. With Hitler’s Wehrmacht only 27 kilometres from Moscow, Stalin presided on November 7, 1941, a symbolic military parade to commemorate the Bolshevik revolution, but above all to instill courage and courage in the army, and especially a population that feared to repeat what happened in 1812, when the city was abandoned to Napoleon. It was an emotional stop, which began at 8 o’clock in the morning so that the low visibility avoided the attacks of the German aviation. The modern Russian historiography considers this legendary parade as the revulsive that inflamed the Red Army to repel the invader. “The dawn of a victory still far away”, as the writer Vladimir Karpov pointed out. In fact, it marked the beginning of the Soviet counter-offensive that changed the course of the Moscow battle. However, far from the Soviet capital, that same day there was a catastrophe that, lost in the midst of the great tragedy that was that war, has passed almost forgotten. A hospital ship, The Armenia, sank in the Black Sea with thousands of people on board, wounded soldiers, but also women and children trying to escape the advance of the Nazis in the Crimean peninsula. It is estimated that there were four times more deaths than in the sinking in 1912 of the British ocean liner Titanic, converted into a symbol of navigation catastrophes. 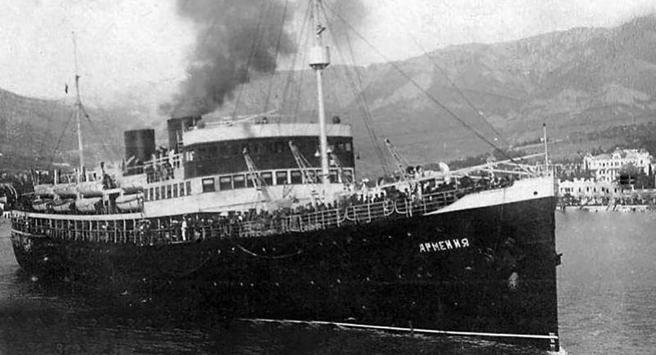 Armenia was part of a fleet of ships for civilian use that began to be built in the Soviet Union in the 1920s when the new country was beginning to recover from the civil war. In the Baltiski shipyards of the then Leningrad, work began on a series of ships that were to be destined for the maritime routes linking Crimea with the Caucasus. Therefore, they were assigned names from several regions of that area. The first to be launched would be the Adzharia, in 1927. It was followed by the Crimea, Georgia, Abkhazia, Ukraine and, finally, Armenia. With 107.7 meters of length and a width of 15.5, the latter was able to displace 5,770 tons and had a capacity for 950 passengers, in addition to a crew of 96 members. But on November 7, 1941, the boat climbed many more. The reason is that since the beginning of the Great Patriotic War, as they call their part of the Second World War in Russia, Armenia put itself at the service of the army. He took it to the Odessa shipyard, where it was converted into a floating hospital, prepared to transport and care for up to 400 wounded. In August of that 1941, it entered service, under the command of Captain Vladimir Plaushevski. But after a few days, his mission changed suddenly. 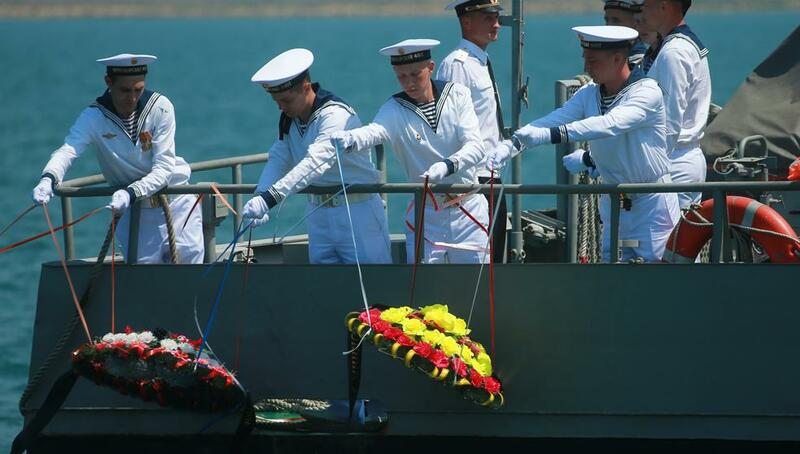 The German army arrived in Odessa and the ship was dedicated to evacuation work, not only of the wounded but also of the civilian population that fled from the invader. Officially, 5,000 people were on board, although it is admitted that there could be up to 7,000, and there are versions that increase the amount. At that time, of course, no one made a list to record passenger data. At the same time that the Red Square parade began in Moscow, Armenia took to the sea accompanied by two military ships and guarded by two Soviet warplanes. The Admiral of the Black Sea Fleet, Filipp Oktiabrski, would later declare that he had ordered the captain to wait until night, to sail safely. But staying in the port was not safe either since in Yalta there was no anti-aircraft defence and the ship would have been an easy target for the Luftwaffe planes. One of them, a Heinkel-111 bomber that was looking for Soviet ships on the Crimea-Caucasus route, attacked the hospital ship at 11 hours and 25 minutes that morning. “It is not possible that the German pilots did not see the red crosses” painted on the helmet and on the bridge, Leonid Repin wrote in his Komsomolskaya Pravda column, recalling the anniversary. After receiving a torpedo on the bow, Armenia took four minutes to sink. Only eight people were saved. “There were explosions, panic, cries of the people, all mixed in an indescribable nightmare. People were going around the deck without knowing where to protect themselves. I jumped into the sea and started swimming. I fainted. I do not remember how I got to the shore, “explained one of them, Anastasia Popova, a resident of Yalta. 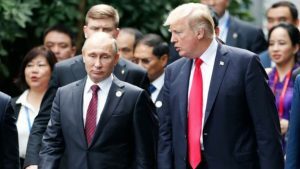 The news came immediately to Moscow. Stalin was informed at lunchtime. In the capital, there were other concerns. Most of the 24,000 soldiers who had participated in the parade went directly to the front, where the Soviet counter-offensive against the Nazis began. Afterwards, historians have dealt with Armenia more insistently. In the first decade of this century, Ukraine started searching without concrete results. The exact place where it sank is still a mystery. How Real is the Threat of the “Torpedo of the Final Judgment”, the Nuclear Weapon of Russia? and Why Did it Blow up Alarms in the United States?